The Village on the Lake, as Port Credit is usually called, is known as a great community which besides amenities and fantastic housing also has plenty to offer in terms of world-class entertainment. There is not much room for boredom in this top Mississauga neighborhood with the many annual events, festivals and shows hosted here. 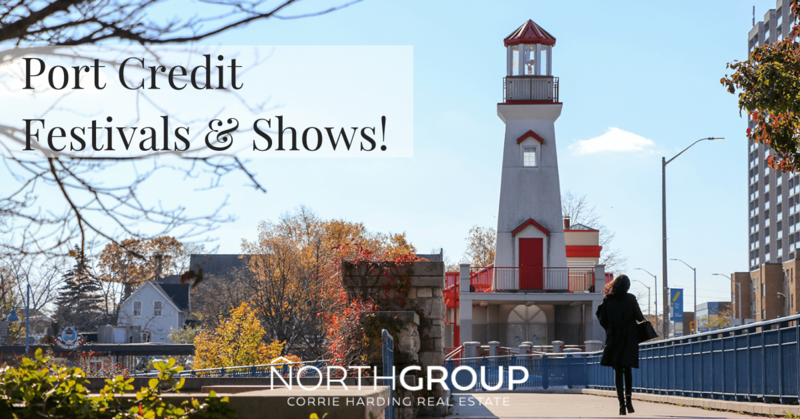 Let’s take a look at what makes Port Credit one of the top entertainment areas. Every year, a September weekend turns into the most exciting period of the month transforming the Port Credit Memorial Park into a big stage where highly recognized jazz and blues artists share their music with the residents and visitors. The biggest highlight though is the famous Saturday street Shuffle on Lakeshore Road filling the streets with people, music (performed for free) and positive energy. The festival has become so big that it meanwhile requires four stages to host the event. The pubs and clubs in the area also contribute to the positive atmosphere by organizing live music on their own. The meanwhile traditional festival celebrated its 20th anniversary this year. If you want to visit during the festival, make sure to buy your tickets in advance as they are usually sold out in no time. Known as the ultimate Family and Friends Festival, the WMF is one of the most acknowledged festivals in Ontario, and it is held in Port Credit. Attracting over 70,000 people every year, the Festival is one of the biggest tourist attractions in the community. Residents and visitors get to enjoy family activities, excellent food and beautiful outdoor concerts for three days. Port Credit certainly has its share of proud boat enthusiasts and it would be hard to imagine it without its mid-to-end-summer annual Boat Show where boat buyers and owners gather to admire a wide selection of boats from fishing boats to bass and pontoon boats. The event is also convenient for chit-chatting about boat courses, the licensing process, and anything else boat enthusiasts would like to know. The circus certainly comes to town in August with this colorful and astonishing festival which features great circus-like acts and street performers who often leave the audience breathless with their talent, shrill outfits and incredible movements and performances. Port Credit does not get boring in the winter either. On the contrary, the famous Comedy Festival is one of the most anticipated events throughout the year. Top stand-up comedians make sure to break the winter monotony with their hilarious performances on one of the weekends in February. Every Saturday morning during the summer-fall season (June-October) many Port Credit residents rush to the market to explore and buy fresh local veggies and fruit and products like honey, maple syrup, etc. Live music is also part of the Saturday shopping day, as well as artisans. As we can see, Port Credit has a rich cultural and art scene that grows stronger every year. Being known as a vibrant and energetic community that hosts some of the major events in the region is of great significance for the development and growth of Port Credit and contributes to its appeal. If you want to know more about the Port Credit entertainment events, fell free to contact us.